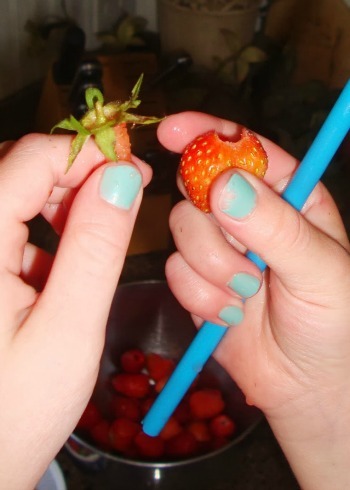 There are many ways to remove the hull of a strawberry. Some ways require special little tools. 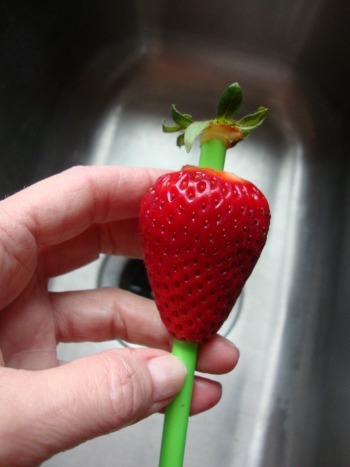 Some just require a paring knife, but there may be a lot of waste (and who wants to waste any of that delicious strawberry?) I have found a simple way to remove the stem and hull. 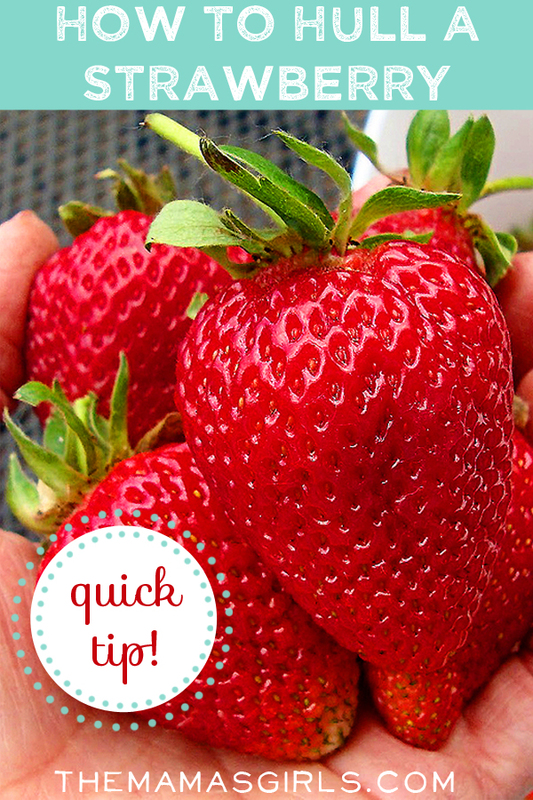 After washing your strawberries, just use an ordinary drinking straw and insert it into the pointed end of the strawberry. Push gently up and the little green “wig” pops right off! 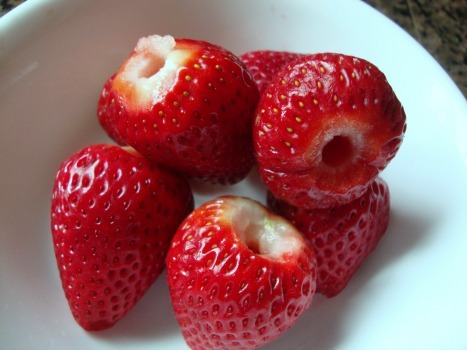 You have a perfectly hulled strawberry with very little waste! 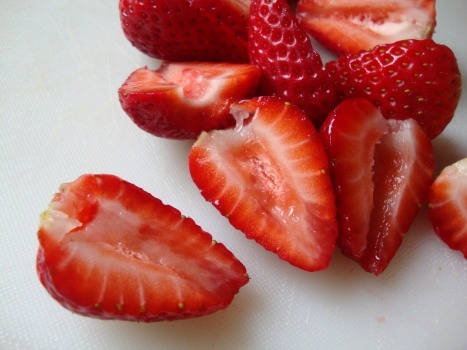 The strawberries can then be frozen for smoothies, to make jam or sliced for fruit salad. 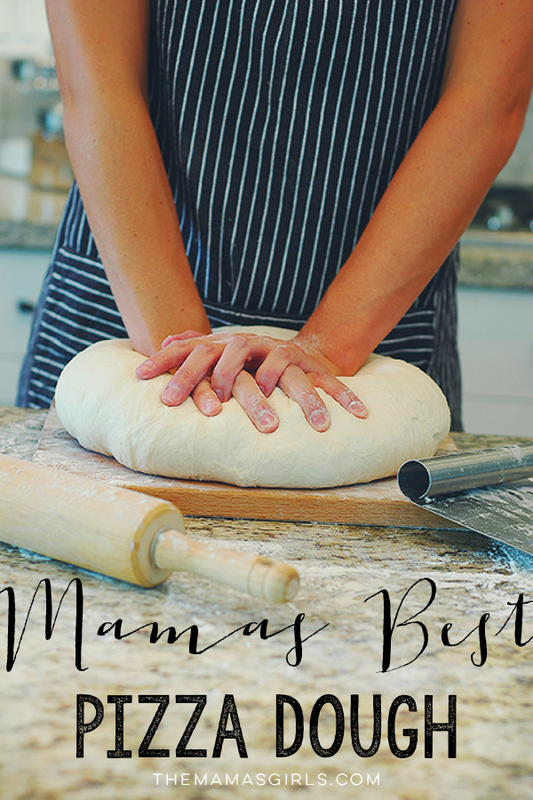 Kids love to help in the kitchen. 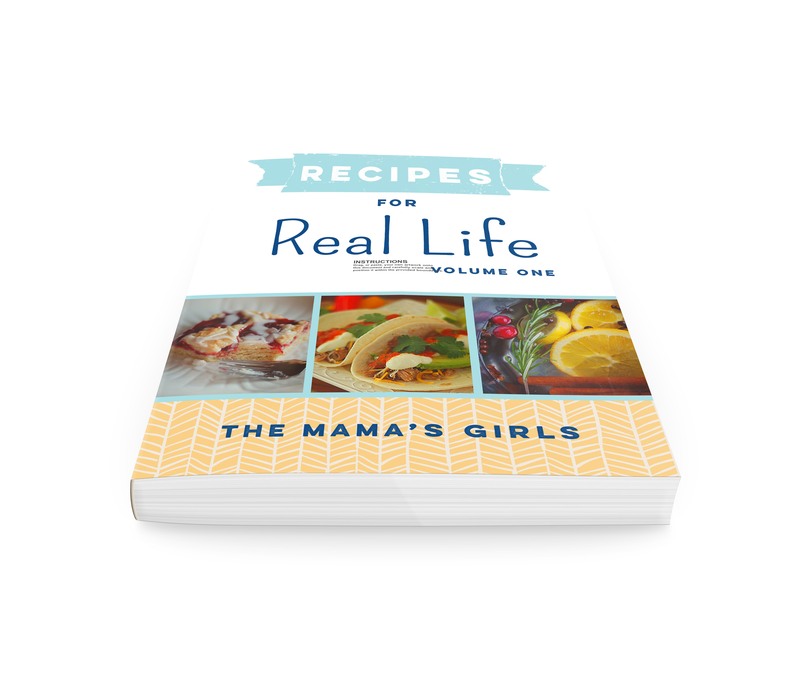 This is a fun way to get them involved in meal prep! What a great idea!! Thank you for Sharing.